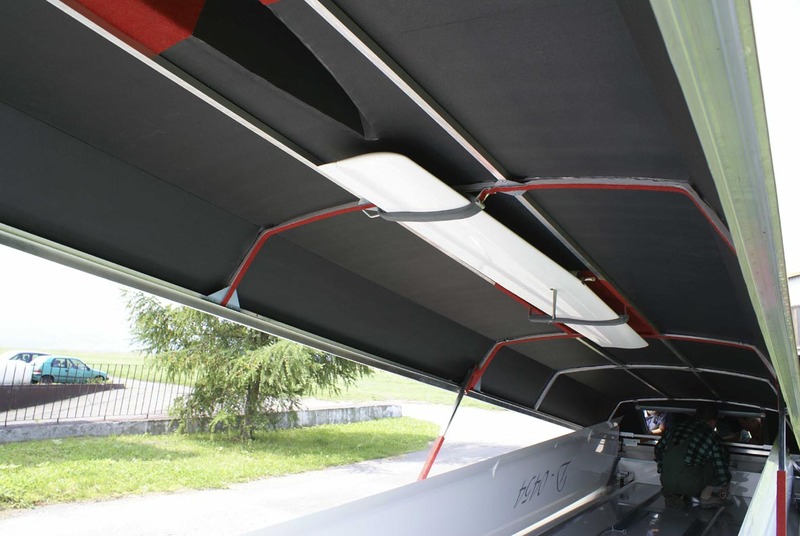 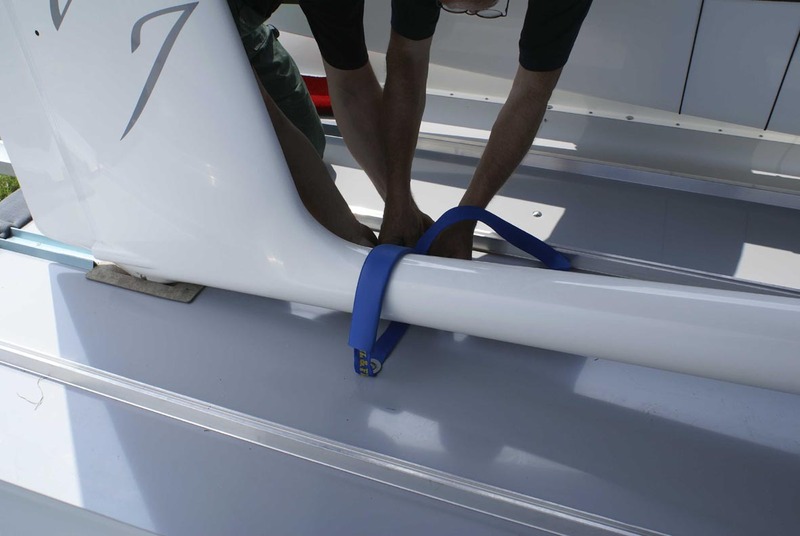 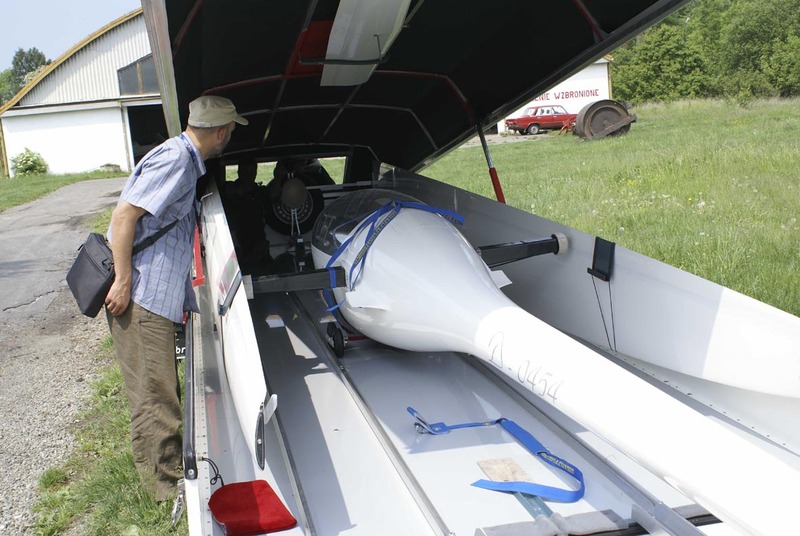 Unconventional arrangement of "Diana 2" structural design with 1.5 meter spar stump integrated into fuselage, suggested development of a trailer that would be adequate for storage and transport of both "Diana 2" as well as any other modern high-performance sailplane. 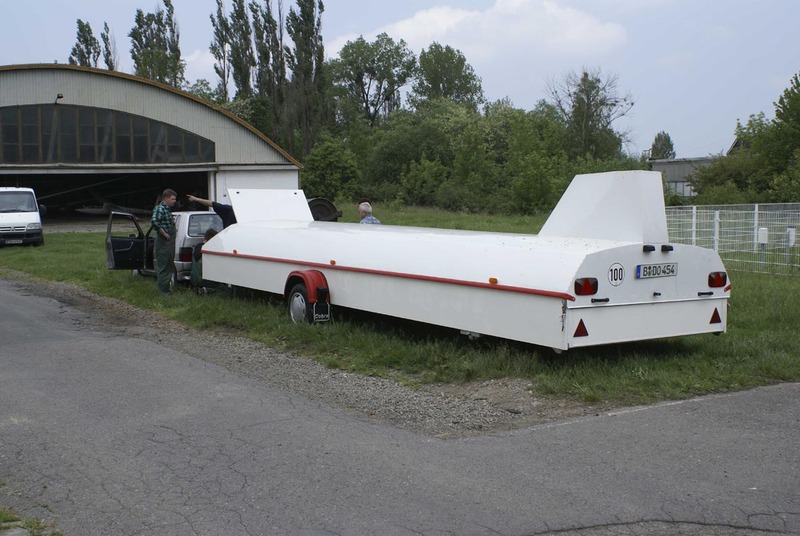 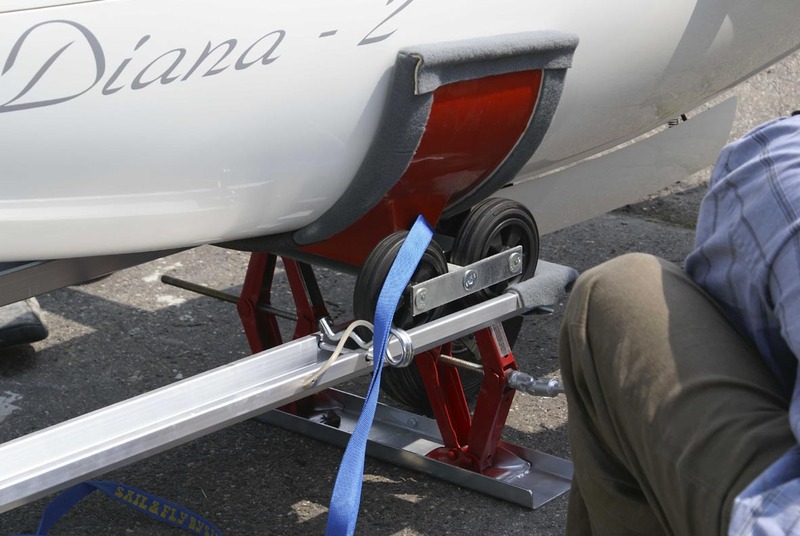 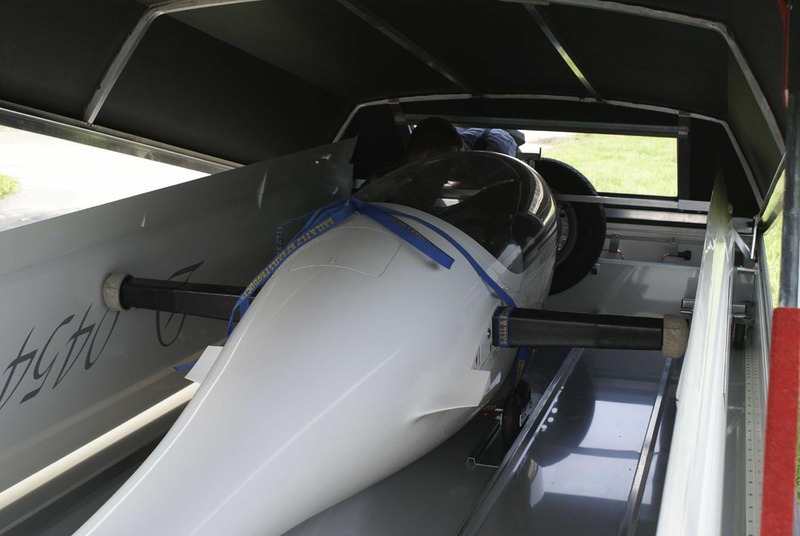 Trailer has a unique monocoque composite shell. 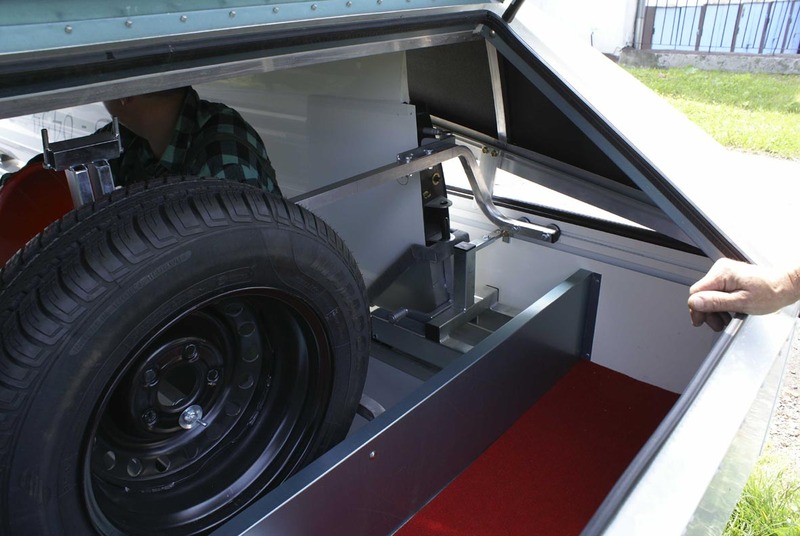 The 15mm thick floor is made from sandwiched aluminum plate with honeycomb core. 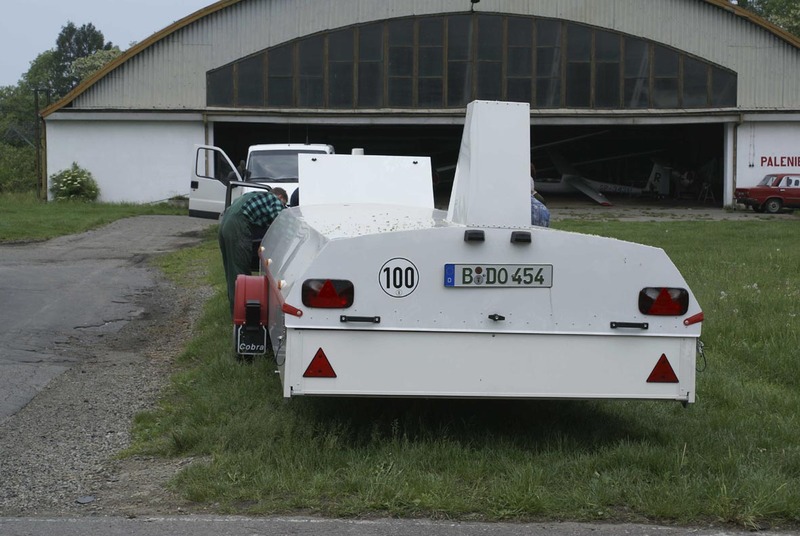 The shell is attached to a chassis from German AL-KO Kober with V-type tow bar and an overrunning brake. 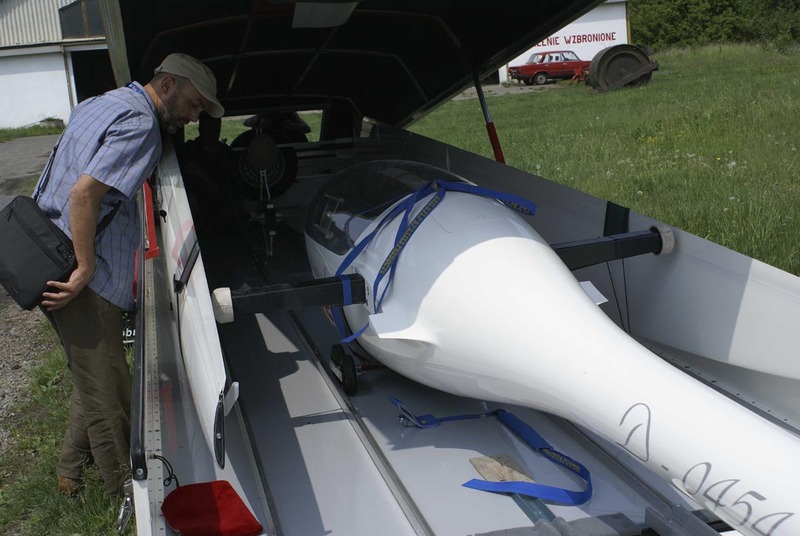 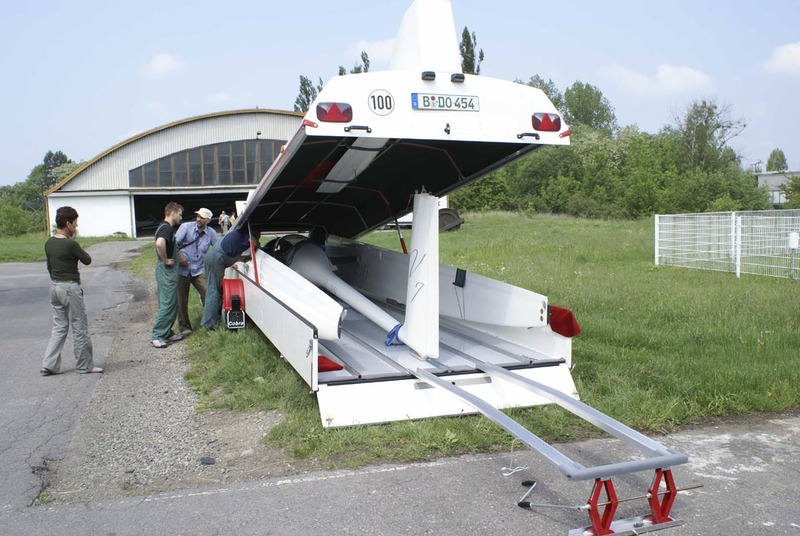 Wings and fuselage are loaded through opening in the back of the trailer and guided by set of built-in rails. 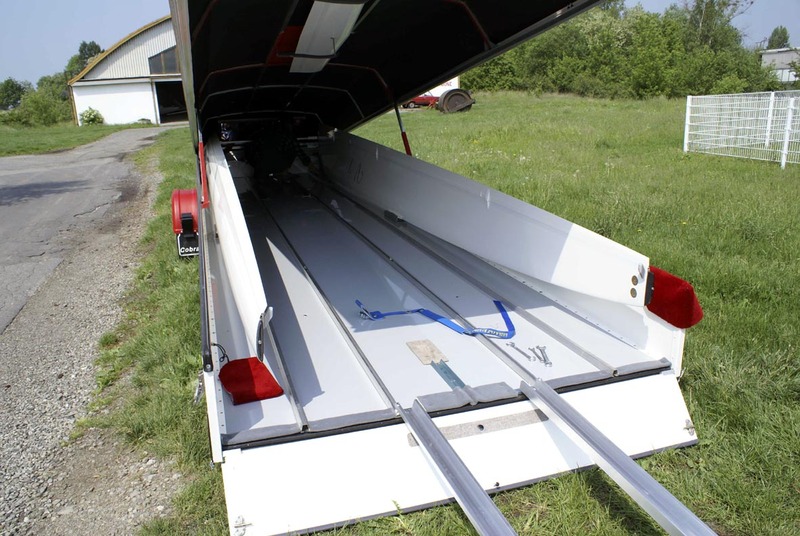 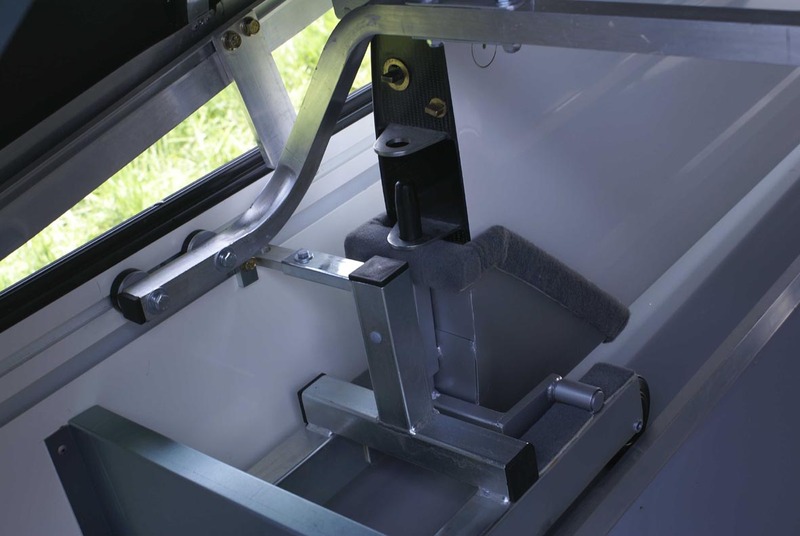 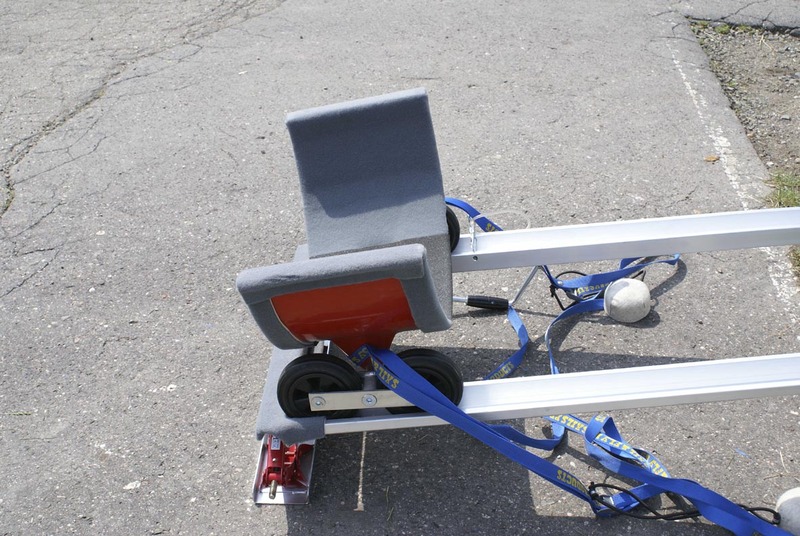 At the front of the trailer there is a baggage compartment for stowing all ground handling equipment and a spare wheel.